Ask to put your name on my mailing listt when you come in the store. 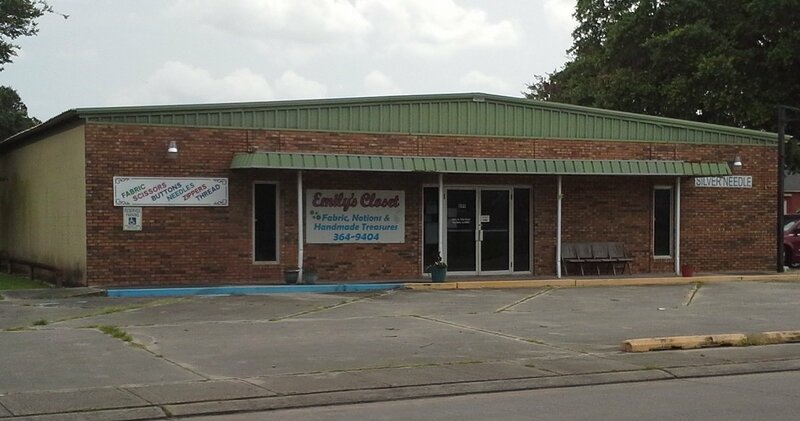 At Emily’s Closet, nestled in the heart of Louisiana’s Cajun country, we offer a warm and welcoming store environment filled with southern hospitality and a variety fabric, notions and homemade treasures. We carry an exciting selection of fabric from Robert Kaufman and Fabric Finders, as well as licensed LSU, Saints and Disney prints, to name just a few. We also offer Floriani embroidery products such as stabilizers and thread. 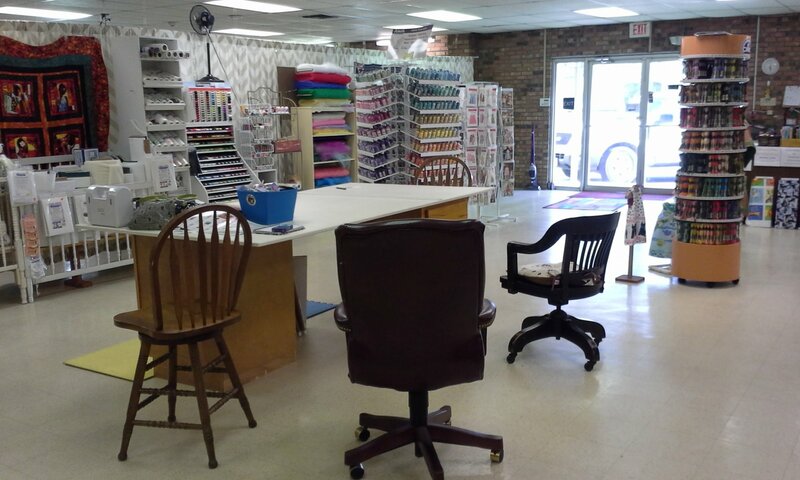 While we take pride in offering quality sewing and quilting supplies, we’re the kind of store where customers feel comfortable just stopping by for a cup of coffee and a friendly chat. Come join us for a sewing class! Basic sewing classes are available year round for adults and June and July for children. Heirloom sewing and smocking classes are also available, as interest demands. The maximum number per class is five students, to faciliate better learning opportunities and personalized attention. . Of course, customers are always welcome to bring their current projects into the store for some friendly advice, or just to share their ideas and successes with fellow sewers and quilters. I have several show-n-tells to share. When the classroom area is not in use it is available for sit-n-sew free of charge.